Welcome to this week’s ‘Head of School Update’. Thank you to all of you who joined us for our ‘Autumn Breakfast Club Special’ on Thursday morning. This event was very well attended and it was great to see so many families coming together to enjoy breakfast together. Children (and grown-ups) enjoyed a tasty selection of pancakes and toppings, sausage baps and, as always, family favourites, such as toast and cereals. We will hold a Breakfast Club Special in the New Year so, if you weren’t able to join us this week, we will look forward to seeing you then! We will let you know about details of this in the New Year! 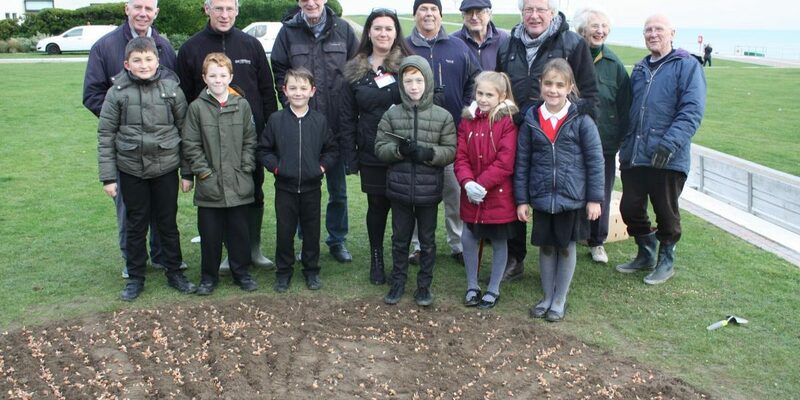 This week, a group of children from King Offa visited the De La Warr Pavilion to support the Bexhill Rotary Club’s planting of this season’s crocuses. The purple crocus bulbs are planted as a symbol of the Rotary Club’s aim of eradicating polio. A total of 5,000 bulbs will be planted as part of the project. The half-circle garden can be viewed by the lawn, adjacent to the pavilion. I know many of you have been busy collecting your tickets for this year’s EYFS and Key Stage 1 Nativity performances. There are still some tickets available. Please visit the School Office if you would like any tickets. Next week, our fabulous pupils in Year 6 will be singing as part of this year’s ‘Big Christmas Sing’. The performance takes place on Thursday 6th December 2018, starting at 7.30pm. If you have a child in Year 6 and you would like to attend, please contact the De La Warr Pavilion who can provide you with information about tickets.